Praia de Santa Eulália is a beach near Albufeira. It is located 4 kilometres east of the city centre. The beach is surrounded by cliffs and amazing pine gardens. This green environment gives the beach a magical feel. To get an idea of Praia de Santa Eulália and its surroundings, watch the short video below. Praia de Santa Eulália is quite wide during low tide, which provides a lot of space. The beach is not big, but not that small either. We would say it is just the right size. It is also great for walks along the sea, especially during low tide. Praia de Santa Eulália has the reputation of being one of the best beaches around Albufeira. The beach is also highly rated on TripAdvisor. 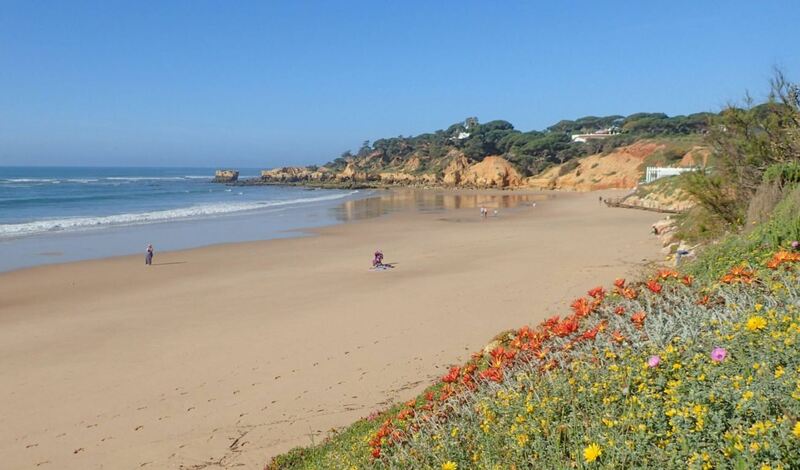 Reading the reviews of this beach will make you want to pack your bags and catch the first flight to the Algarve. The beach is clean and well-maintained. In the summer, there are lifeguards patrolling the beach. You can also enjoy different sorts of water sports here, including jet ski, parasailing or banana boats. In addition you can hire sunbeds on the beach. If you would like to experience this beach from the comfort of your home, it is possible to view a 360 degree picture of this beach. The sand is fine and gold-coloured. The sea is crystal clear and usually calm. This makes the beach not so great for surfing, but it is good for swimming. The sea doesn’t get deep quickly. 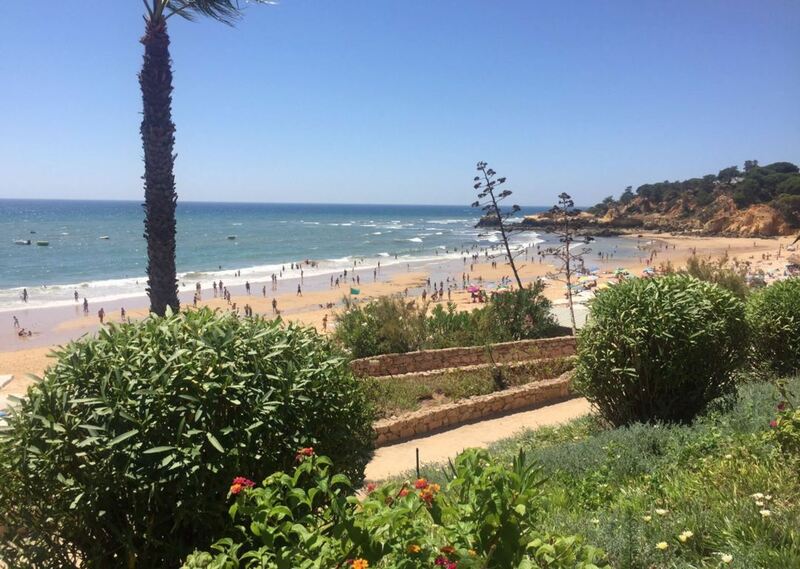 This makes Praia de Santa Eulália also a good beach for families with children. Kids love to make sandcastles from the gold-coloured sand and it is safe to play in the smooth water. Hear the sound of the waves and imagine you are already here. 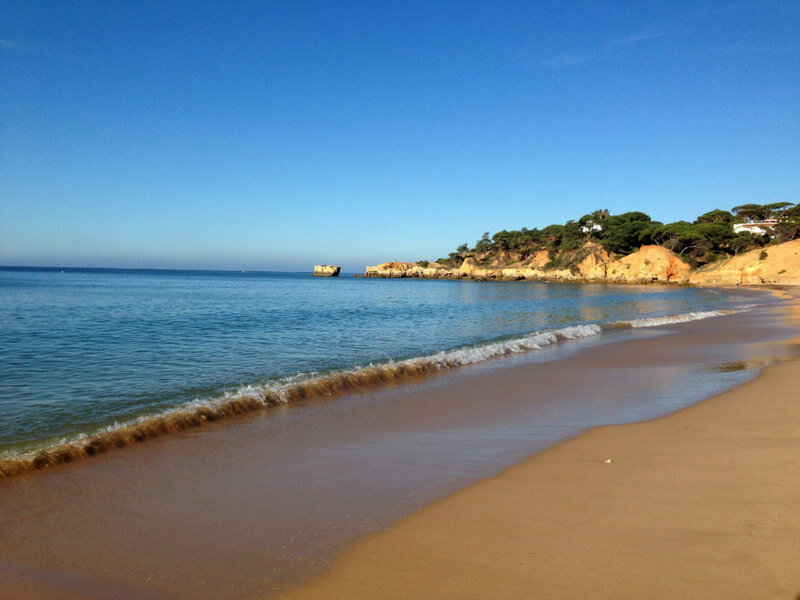 Because it is outside the town of Albufeira, it is relatively more quiet than the urban beaches in the town. However, in the summer months the beach still attracts many tourists, partly from the nearby hotels. Thus, the beach can be quite busy in the touristic peak season. To have the best experience of this beach, it is advised to go early in the morning. To visit this beach, you can enter the following address in your GPS: Ac. à Praia de Santa Eulália. The beach is easily accessible, as there is a car park behind the beach. Parking near the beach can be difficult during the high season. When the car park is full, you can park your car for free on the side of the road. Grande Real Santa Eulália Resort & Hotel Spa. 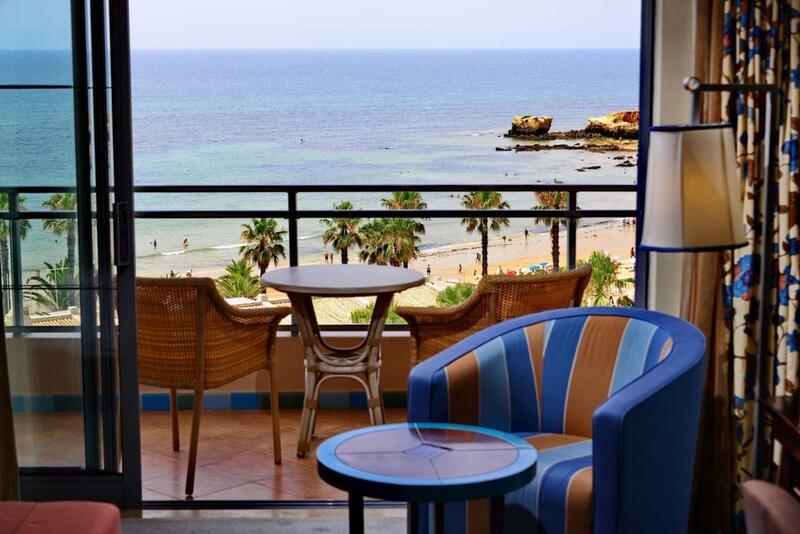 This 5 star hotel is located right next to the beach and has a terrace overlooking the sea. There are several swimming pools and welness facilities. It is one of the highest rated hotels in the area. Even if you are not a guest of this hotel, you can walk in to enjoy its restaurant. Alfagar Aparthotel. This 4 star aparthotel has a complete outdoor water slide park, which kids will love. The hotel overlooks the beach and the sea. Highly rated. Alfagar Village. This 3 star resort is a small village, complete with a mini market and swimming pools. Everything you need for a great holiday in the Algarve. The village has a direct path to the beach. After the busy summer season of last year, we recommend to book your hotel now, as it will probably sell out. Below you can find a map with the location of hotels near Praia de Santa Eulália. By changing the date of your holiday, the map will show you the current prices. 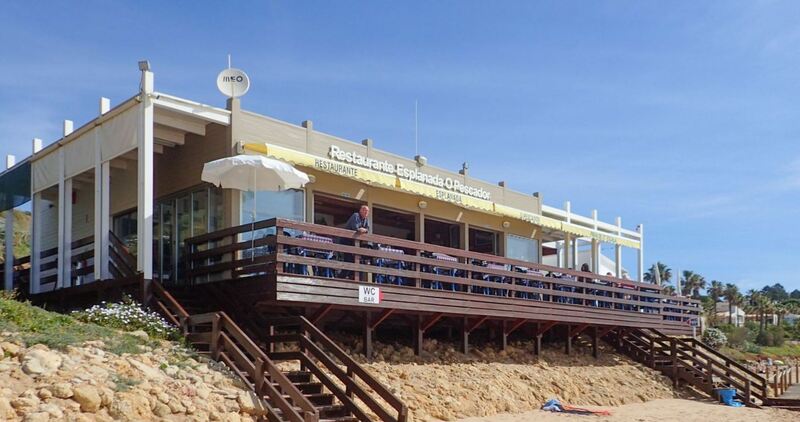 There is a nice fish restaurant right on the beach, called A Esplanada Do Pescador. Another option is to eat in the restaurant of the Grande Real Santa Eulália hotel. Praia de Santa Eulália is a very green beach. 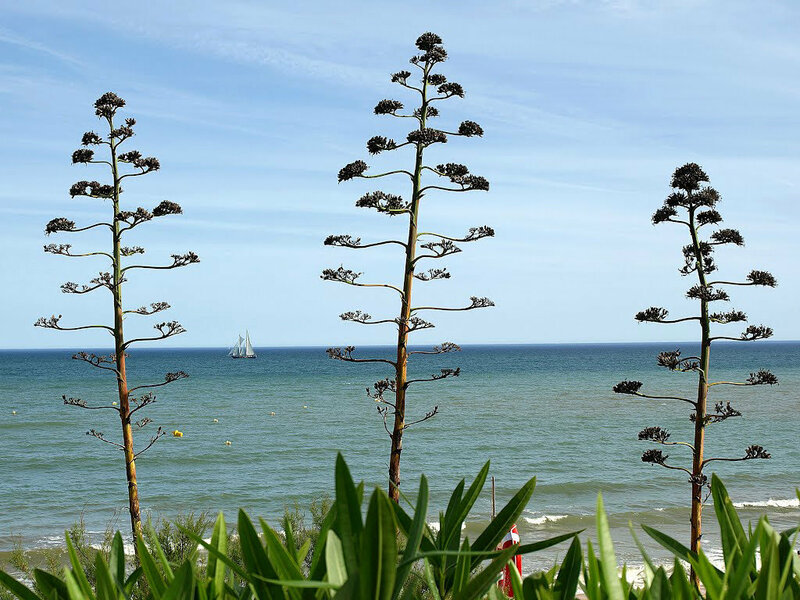 You will find many colourful flowers and typical pine tree surrounding the beach. To the right of the beach you will find some cliffs. These cliffs give you a spectacular view of the beach. 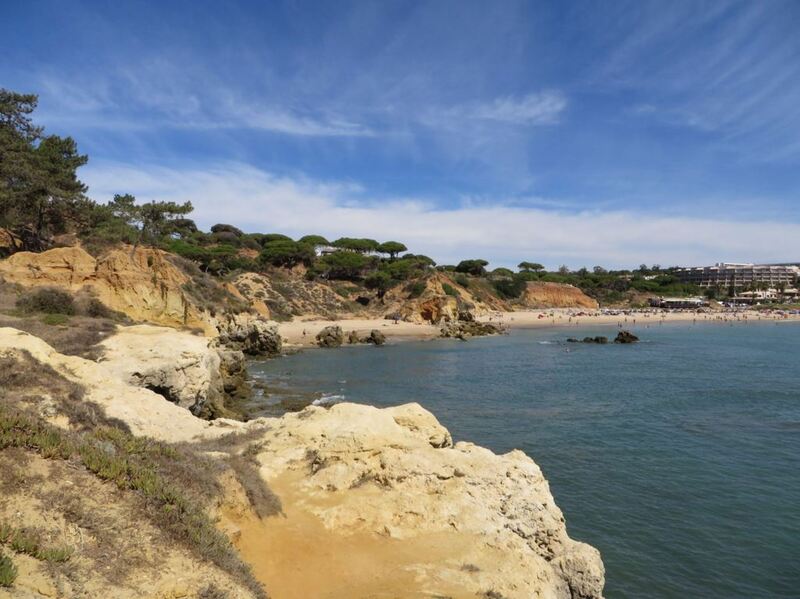 The area around Albufeira provides not only great beaches and fun, but is also well-known for exciting excursions. Excursions can take you to places where you wouldn’t otherwise go to. For example, how about exploring the Algarve coast by boat? Some of these excursions you can already book online. See some of our recommended excursions below. Near the beach there is a leisure resort. There are art galleries, bars and a beach club. After you parked your car, there is a boardwalk to the beach. This boardwalk also enables people in a wheelchair to visit this beach.